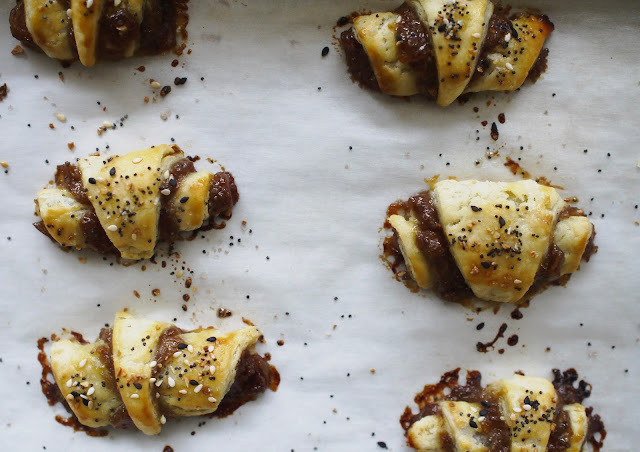 Lemme start out by saying I actually made these rugelach on the 7th and 8th nights of Hanukkah but since I'm slow to post, I'm only now writing about these Hanukkah treats a day too late. 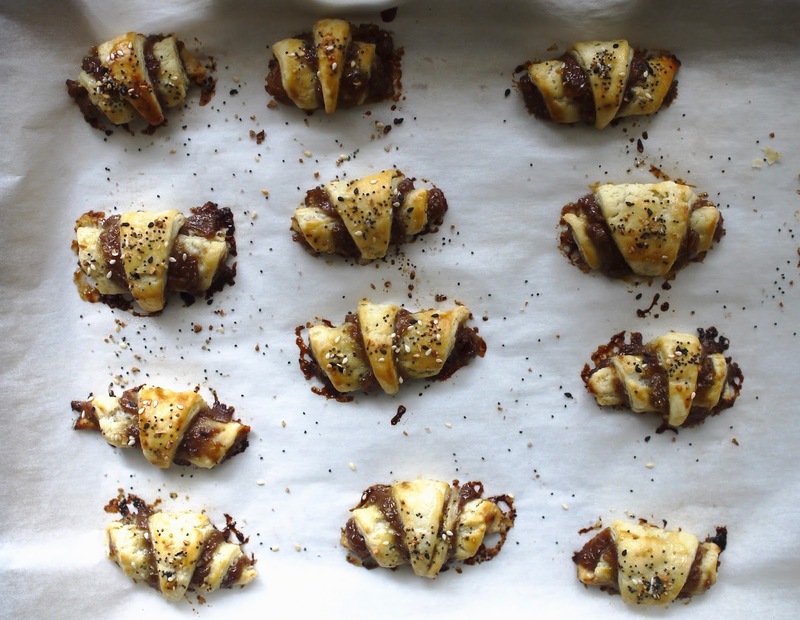 Rugelach are flaky, filled, mini croissant-looking pastries that are typically served during Hanukkah but can be enjoyed any time of year. Since I grew up in large Jewish community, I was no stranger to these sweet treats. 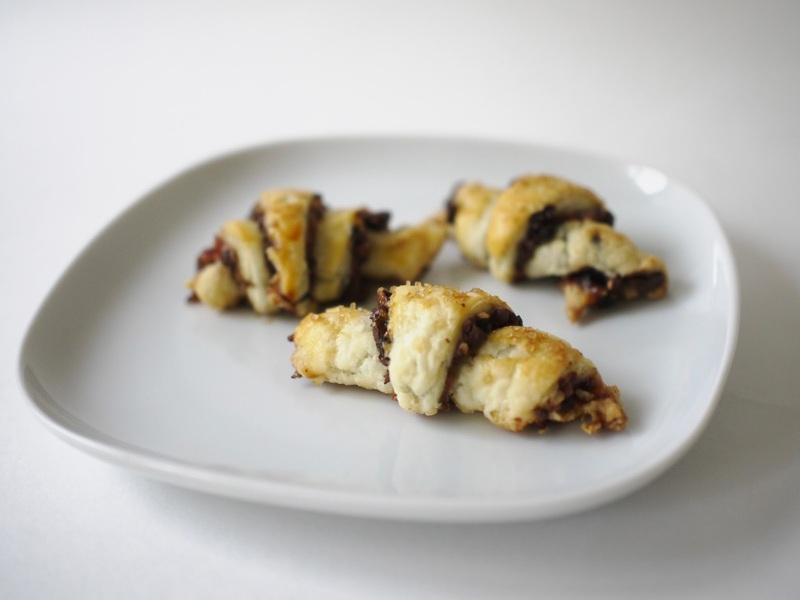 But since it's been a couple decades since I've had rugelach, I decided to bake some during this holiday season. Typical fillings include a fruit jam, nuts and chocolate. But I decided to bake two different kinds: sweet and savory. Both are so delicious but if you had to make me choose which was my favorite, the non-sweets lover in me will obviously say the savory one. Plus it includes everything bagel seasoning! These are pretty easy to make---you just have to be patient with some chilling times but with the waiting time, you can wrap presents, drink some egg nog or watch some old holiday tv specials. double the batch of dough from this recipe from the NY Times. use half the dough for their sweet filling with nuts, currants and chocolate.